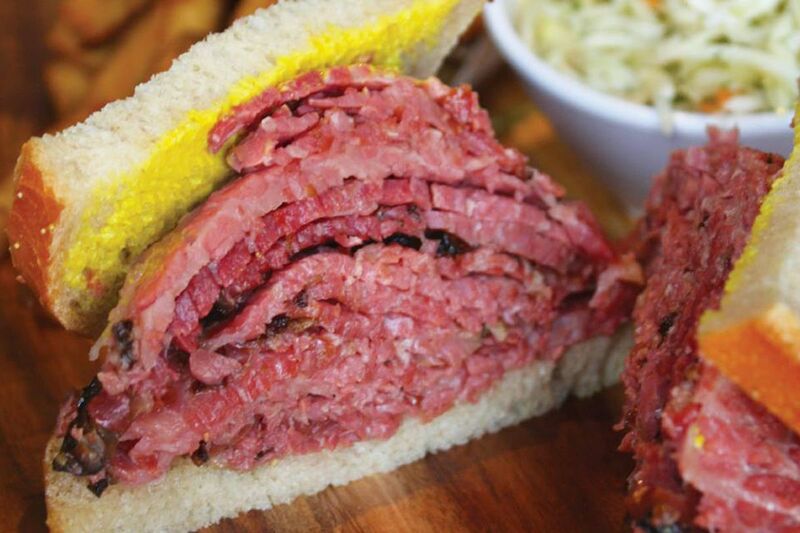 This popular alternative to Schwartz’s Deli is not only renowned for their smoked meat, but also stays open until 5 am every day, making it the ideal place to grab a bite after a night out on St. Laurent. Speaking of smoked meat, you haven’t had the full Montréal experience until you’ve tried Dunn’s Famous. 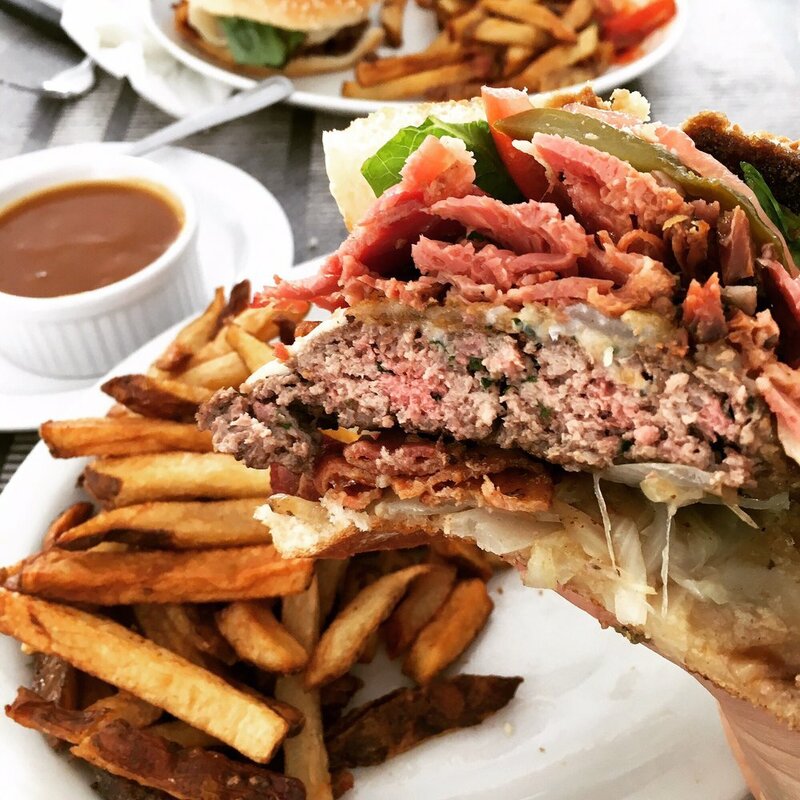 Located a stone’s throw away from McLean’s and Peel Pub, this 24-hour deli is the perfect place to grab some quality grub after the bar. This late-night diner is a real Quebec classic. 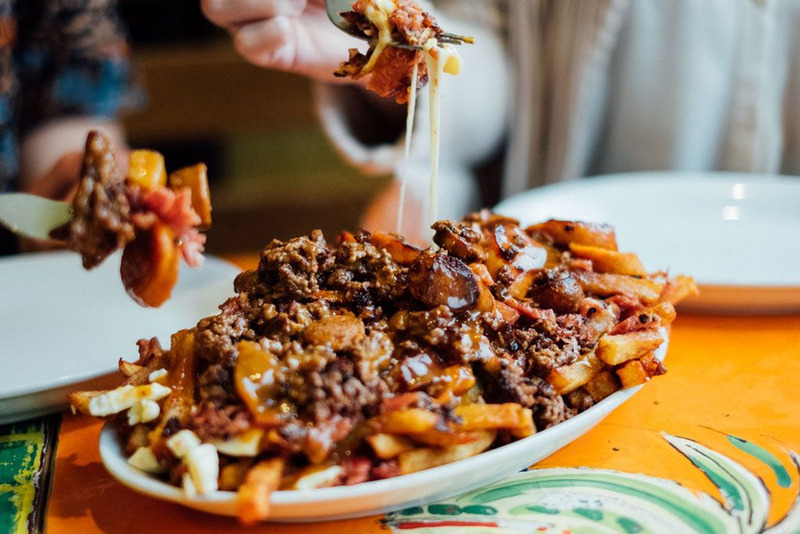 With more than 30 locations all over Montréal, no matter where you end up, you’re bound to be able to get some poutine and a hot dog without having to trek too far. They might stop selling the dinner menu at midnight, but until they close at 3 am, there’s still plenty of time for you to try some Japanese izakaya-style food. In true Japanese fashion, their Makenai dish changes every night, so it’s always an exciting experience. This 24 hour restaurant is truly one of the Montréal greats. 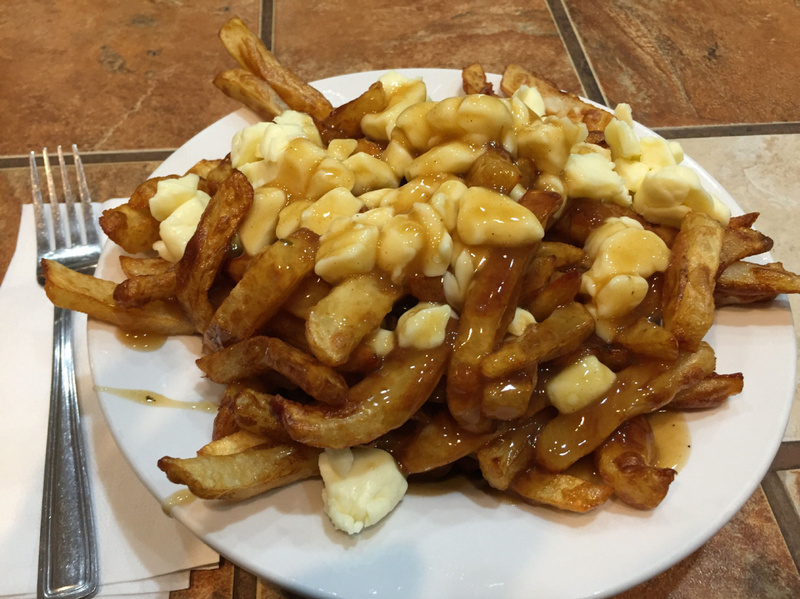 Renowned for its poutine, this place is perfect for a midnight snack. And if you arrive before 3 am, you can get a pint with your food! 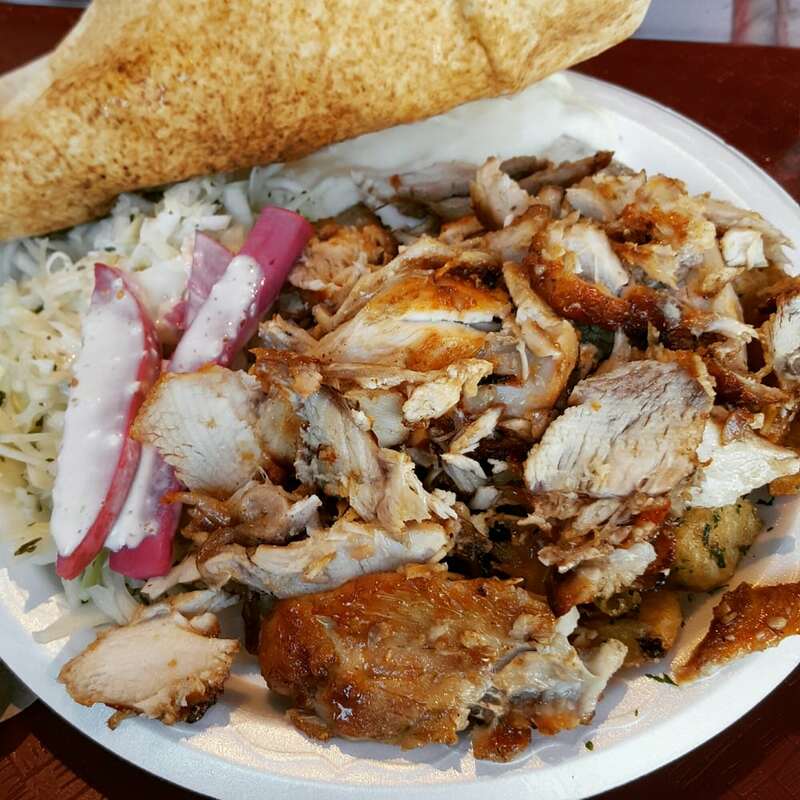 Located right in the heart of downtown’s party scene, this little Lebanese place is perfect for some quick, easy-on-the-wallet food until 4 am. Their Creation Sandwich is an absolute must-have. If you’re out late in the Plateau / Mile End area and want something quick and delicious, Chez Claudette has the perfect selection of diner food. Best known for its nice, quaint vibe, Chez Claudette is open 24 hours from Thursday to Saturday! 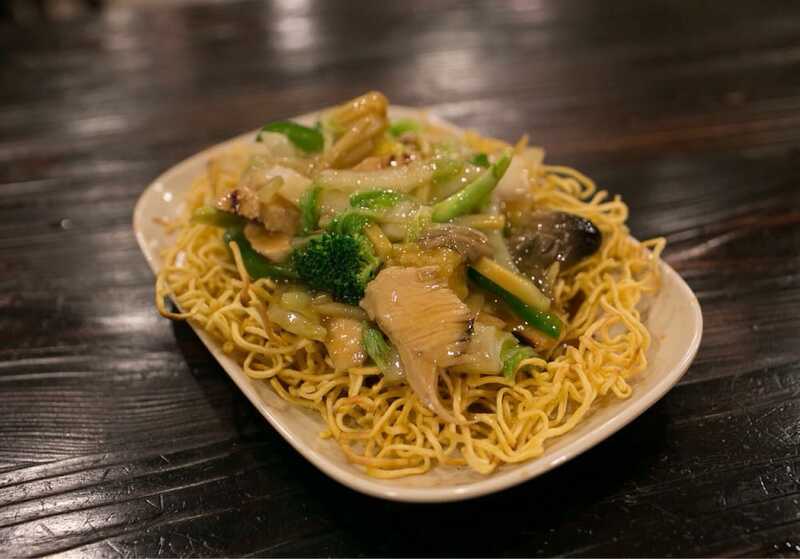 So maybe a full blown meal isn’t what you want at 3 a.m... why not enjoy a delicious plate of authentic chow mein for only 2 dollars?! One of Montreal’s real hidden treasures, Le Chien Fumant is an absolute gem-of-a-restaurant on multiple fronts. From the chef's creativity, cozy ambiance, and late night hours, you will not be disappointed. Open every day until 2 am. Open every day until 3 a.m., Vices et Versa offers a huge menu that’s certain to satisfy whenever those late night cravings hit. From oysters, burgers, poutines, and of course their famous beers, this place has it all to satisfy your late-night cravings!